In this guide, read about Windows.edb file & its usage. And learn how to reset and rebuild search index in Windows 10/8/7. There might be different reasons why Windows Search or Cortana is not working on your Windows OS. Without Windows Search, its really time consuming to look out for the items and access them. Hence fixing broken Windows Search feature becomes of prime importance. Windows usually stores the search indexing to a database file, named as Windows.edb. What is Windows.edb file in Windows 10/8/7? All the data relating indexing including file and folder’s meta data are stored by Windows to this Windows.edb file. It is located in %programdata%\Microsoft\Search\Data\Applications\Windows folder. If your OS installation is quite old, Windows.edb file size may become huge. In such a case, you may consider deleting this file and allow Windows to create new one from scratch. In order to fix most of Windows Search issues, resetting and rebuilding search index is common solution. Here’s how you can perform this in your Windows OS. Make sure you’ve stopped Windows Search service and set Startup type: Disabled in Services snap-in, before you start. 4. Change the Value data from 1 to 0 and click OK. Close Registry Editor and reboot the machine. 6. 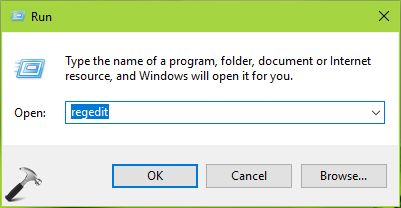 In Windows folder, look for Windows.edb file and right-click on it, select Delete. Above steps should reset Windows search index to default. 1. Search for indexing options using Windows Search/Cortana and pick same from results. 2. Then in Indexing Options, click on Advanced button. 3. Next, for Advanced Options, under Troubleshooting, click on Rebuild button to delete and rebuild index. 4. Since rebuilding index is time consuming process, hence confirm on the below shown message if you can continue, by clicking OK.
Now Windows will start rebuild search index and it will some few minutes. Note that search will broken until Windows finishes this operation. In this way, we’ve reset and rebuild search index in Windows 10. You can now start Windows Search service in Services snap-in.